Welcome to the Prince Books website! 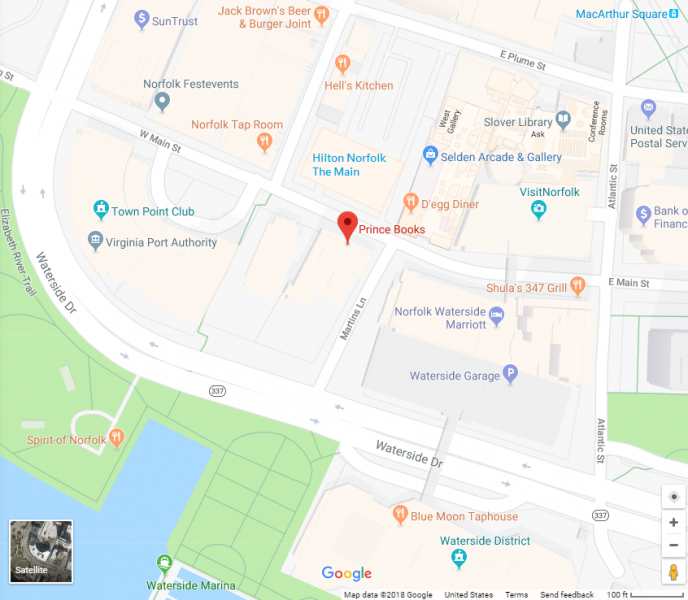 Located in downtown Norfolk since 1982, Prince Books is situated one block from the Intracoastal Waterway. Our shelves have books for all interests and ages. Our regional interest section includes Chesapeake Bay and Outer Banks titles. Most orders arrive in a few days. Our cafe, The Lizard, offers sandwiches, salads, soup, coffee and drinks.